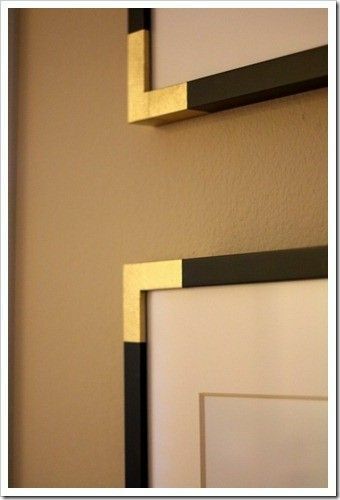 Looking for a way to jazz up those plain old picture frames you just bought or the ones that have been hanging on your walls for years? Add color to the corners! Gold, silver, white, black, you name it, go with whatever color works with your scheme. Measure and mark off the space with painters tape and paint away! This entry was posted in Uncategorized on August 1, 2015 by Smith County Habitat.